The Arduino has grown up - moving from hobbyists to industrial applications. The foundation of the Internet of Things was spawned out of the industry specific Machine 2 Machine (M2M) market and very quickly the market was flooded with the low priced micro-controller devices such as the Arduino, Raspberry Pi and the BeagleBone however they have been primarialy focused at hobbyists and makers. 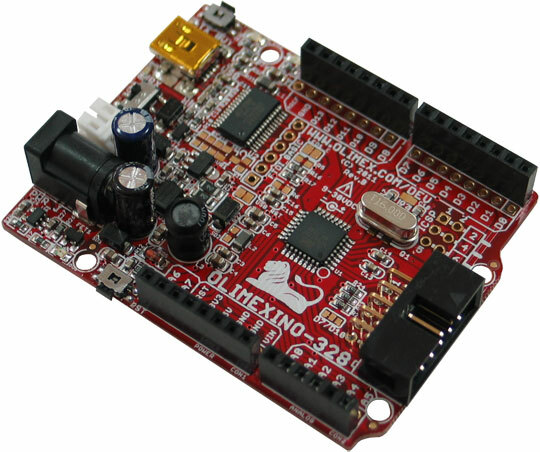 The Olimexino device series attempts to address a number of flaws within the Arduino device and bring it to the industrial space. While I haven't run into any of the reset issues or precision issues with the analog readings I have found some problems with shields touching the top of the standard USB connector and hooking up an external battery via the VIN pin (difficult to secure) - a lot of these changes make sense - the best part is that they have made it available at a competitive price! I just ordered one of them to experiment with to test the feasibility within an industrial grade project a friend of mine is currently involved in - he is using old, out-dated and proprietary hardware and it is time to get with the times and use hardware that can be maintained easily.